Pierre-Marie Postel, an artist based in Caen, France. 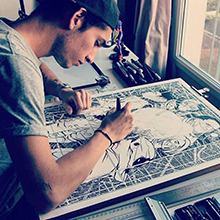 He is learning the technics and art and design principles at school and opened his own studio last November. As a lover of manga and anime, he needed to, “get out of my comfort zone,” to create this art piece. 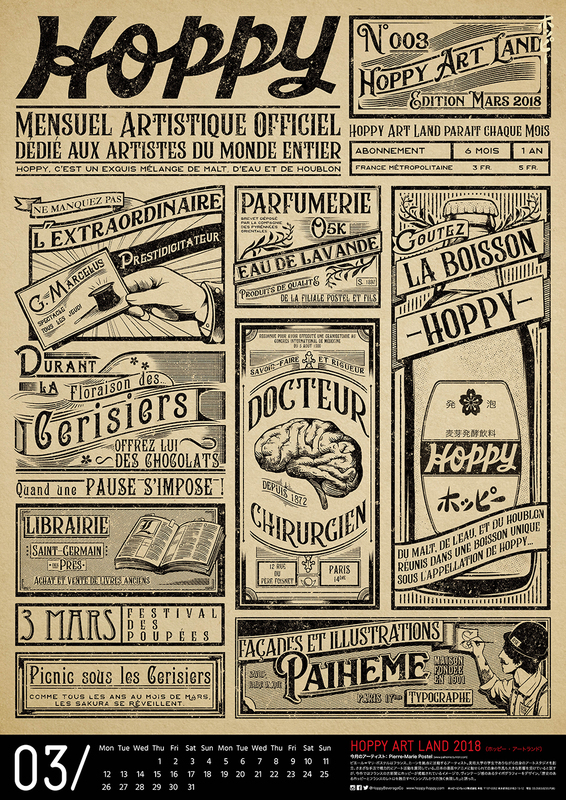 He analyzed and learned some old typographic principles and made this vintaged French style tabloid featuring HOPPY.